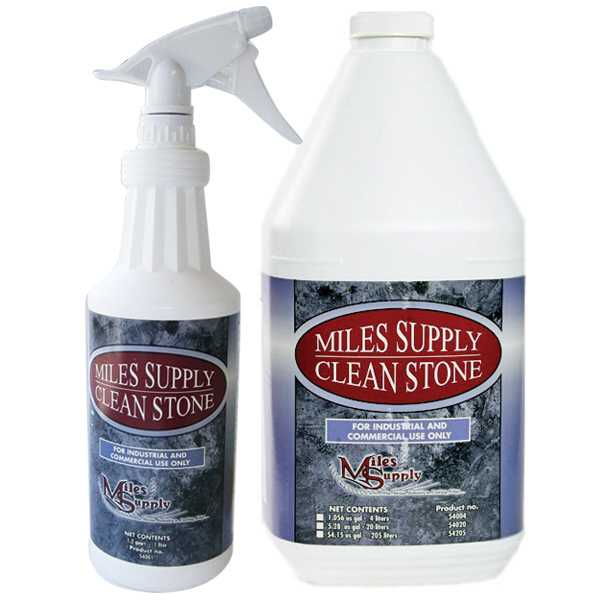 Designed for those weathered stones in the cemetery, Miles Clean Stone is ready to use and available in spray containers. Always follow the directions and safety precautions before using. Simply spray or pour Clean Stone cleaner on the dirty stone & rinse with water. It’s that easy! Some scrubbing may be necessary for extra dirty stones. Clean Stone is an environmentally safe product. Sold in single gallon, 5 gallons, or 55-gallon drum.